Take mini golf to a different level with a family tournament in the morning at 19 Greens Putt and Play Zone. 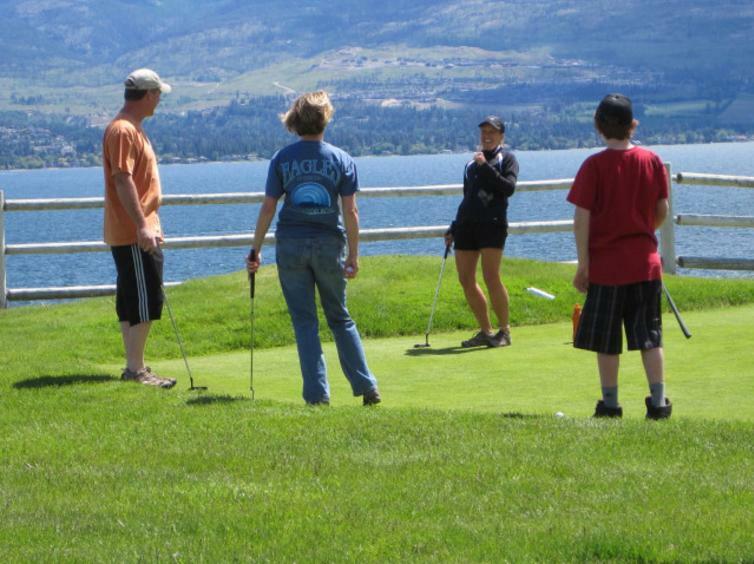 Their 18-hole natural grass putting course is back dropped by Okanagan Lake and offers great family fun (and awesome selfie opportunities). 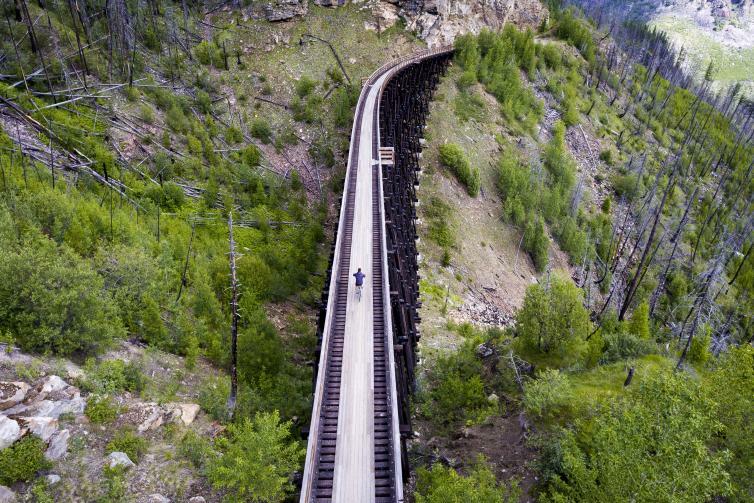 Head up to Myra Canyon and spend some time cycling the historic Myra Bellevue Kettle Valley Railway including the 18 picturesque trestle bridges and the 2 tunnels. Bring your own bikes, or rent them on site from Myra Canyon Bicycle Rentals or let Monashee Adventure Tours arrange all the details for you. They offer shuttle service to the KVR, bikes, helmets and provide snacks and water along with their informative guided tour. You&apos;ll want to bring your camera on this trip as well. Stage a family war at Safari Ridge Adventure Park where everyone can battle for the championship at paint ball, outdoor laser tag, or archery course in their themed parks. Must be at least 8 years old for laser tag, and 10 yrs old for paint ball and archery. Be like a family of monkeys and fly through the trees at Oyama Zipline, Zipzone or go through the tree tops at Myra Canyon Adventure Park. Looking take a giant swing ride from cliff side? Check out WildPlay Elements Park&apos;s primal swing. After a morning of activities, everyone will want to hit the lake to chill out. Grab some snacks find the beach that&apos;s calling your names. There are many to choose from but the more well known ones, with the most teenage-friendly activities, are Rotary Beach, Gyro Beach, City Park’s Hot Sands Beach and Tugboat Bay in Waterfront Park. 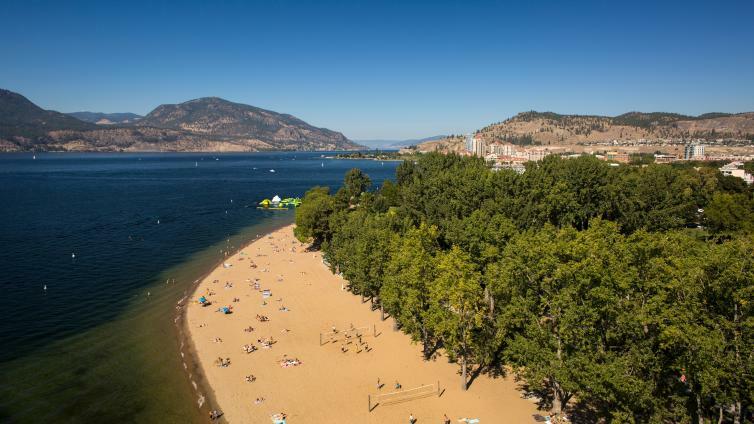 If the family wants to stay by the lake for a while longer, Okanagan Parasail or Ogopogo Parasail will take everyone for an uplifting experience that won&apos;t soon be forgotten. There are no age restrictions so anyone can soar above the lake. Bring the waterproof camera! Feed the gang. After a day of exploring, the everyone will have worked up ferocious appetites. You&apos;re in luck because there is an abundance of family-friendly restaurants in the area. Bai Tong, Memphis Blues BBQ House, Kelly OBryan&apos;s, and Earls on Top are all located downtown. 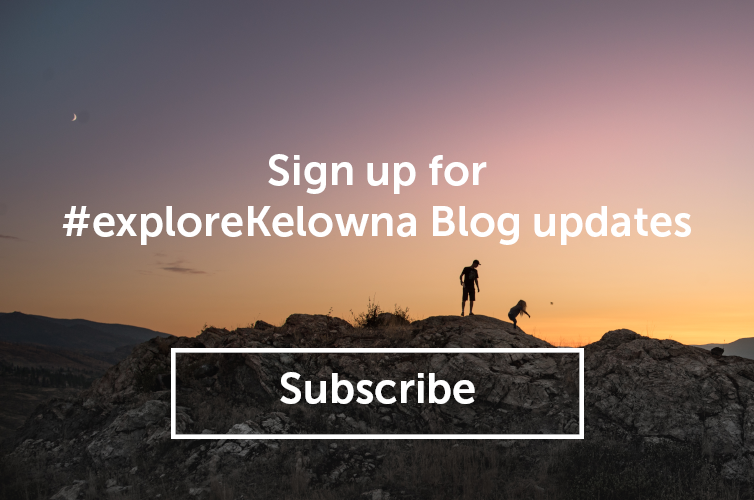 After dinner, grab an ice cream cone at Moolix and stroll along Bernard Avenue, the piers at the Downtown Kelowna Marina, and the boardwalk along the waterfront – you may even be surprised with a Parks Alive! performance in one of the parks because in the months of July & August, Festivals Kelowna programs them 5-6 days per week. 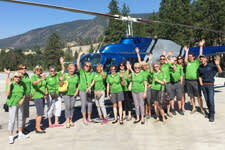 Tags: Tugboat Bay, Myra Canyon Bicycle Rental & Tours Inc., Myra Canyon Trestles - Kettle Valley Railway, Monashee Adventure Tours, Okanagan Parasail, Ogopogo Parasail, Bai Tong Thai Food Restaurant, Memphis Blues BBQ House - Bernard Location, Downtown Marina, family fun, Safari Ridge Adventure Park, Oyama Zipline Forest Adventure, Myra Canyon Adventure Park, WildPlay Element Park - Kelowna, Rotary Beach Park, Boyce-Gyro Beach, Hot Sands Beach - City Park, Parks Alive!